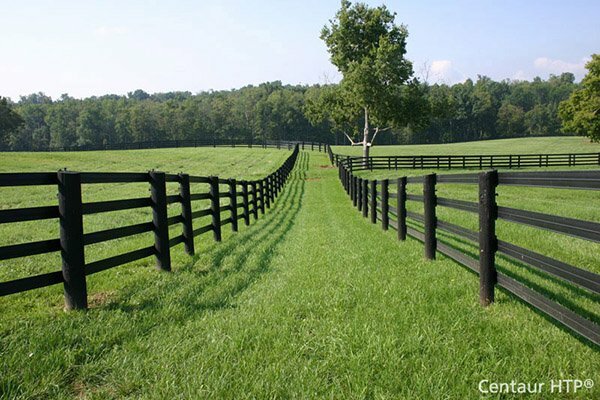 Clubhouse 1/2" x 12" Standard Face Board | Hoover Fence Co. The Standard Face Boards are used as fascia during the Clubhouse decking installation process. What is the best way to clean Clubhouse Deck and is not covered by the warranty? 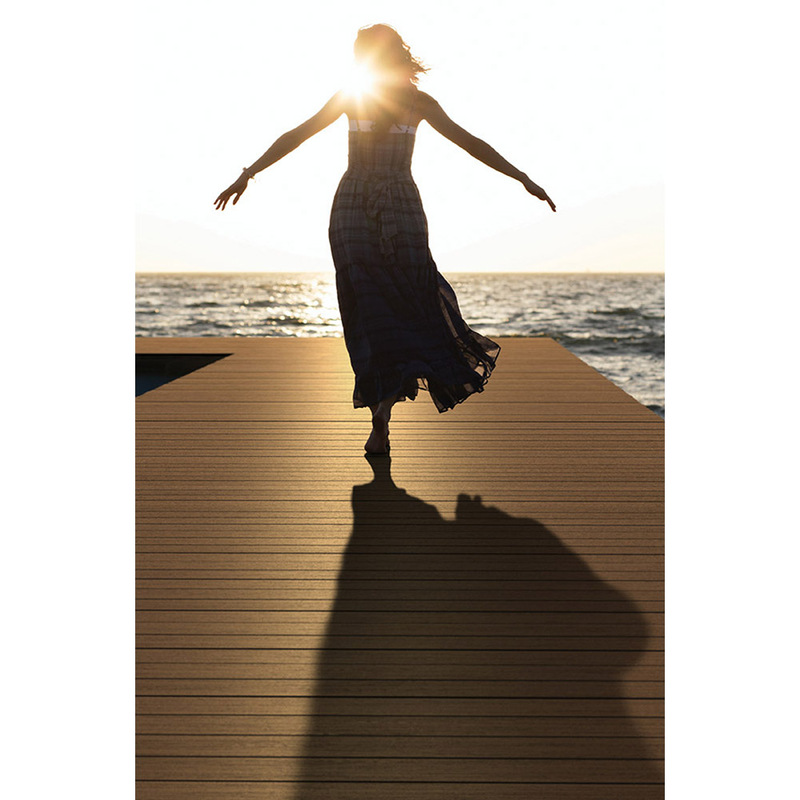 Clubhouse Decking with SunShield and Korelite Technology is designed to resist staining for a period of twenty five years when applied to a residential application. 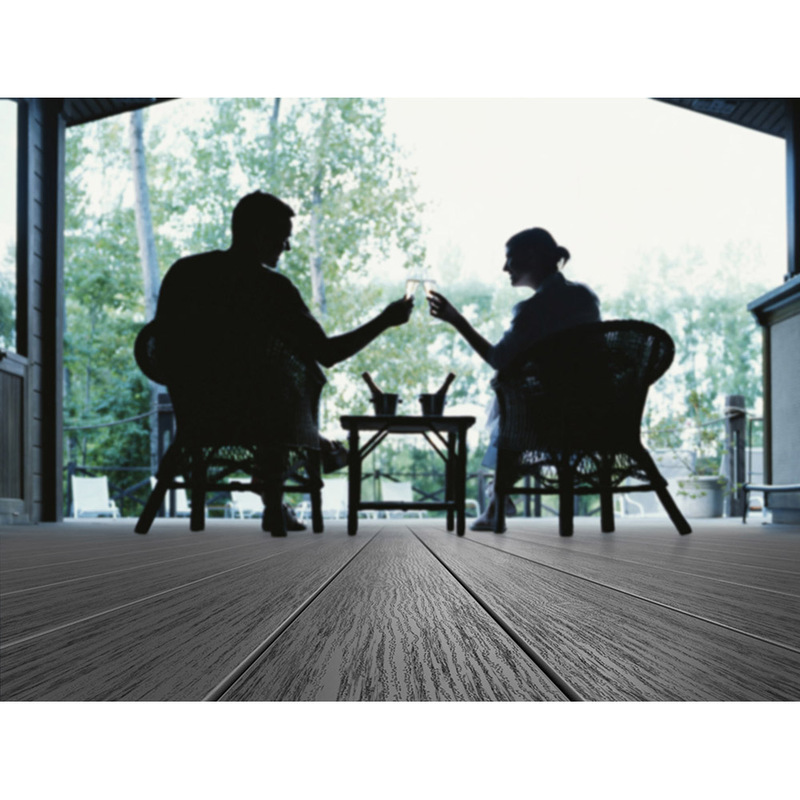 While no product is stain-proof, Clubhouse Decking does provide a high level of stain resistance to permanent stains resulting from spills of common food and beverage items including: wine, tea, coffee, fruit punch, soda, ketchup, mustard, salad oils, barbecue sauce and other food or beverage items that would typically be in use on a residential deck. When exposed to spills from these items the deck should be cleaned with mild soap and water no longer than one week after the spill has occurred. Materials not covered by the stain resistance warranty include but are not limited to abrasive compounds of acidic or basic pH, strong solvents, oil and water based paints or stains, acetone, methylethylketone, mineral spirits, petroleum ether, toluene, xylenes, methylene chloride, metallic rust or other abnormal contact from items not connected with a residential deck. Additional items not covered under the stain-resistant warranty include substances such as non-food and non-beverage exposures. Some examples include, but are not limited to, fungicides, bactericides, biocides, plant food, animal and human stains from fluid and waste. See the manufacturer's warranty for more information. 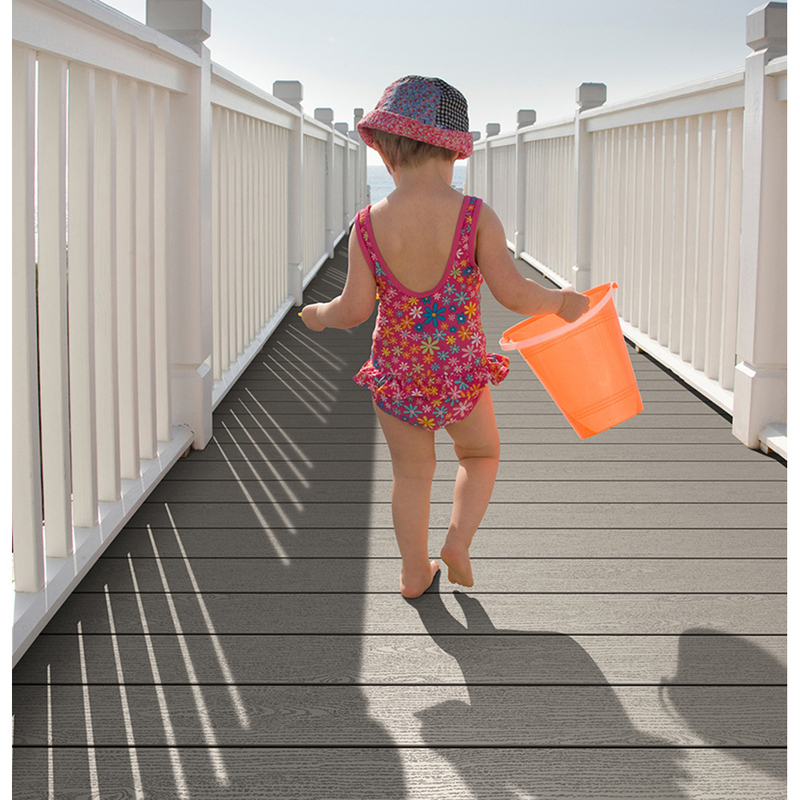 Clubhouse Decking with SunShield and Korelite Technology is designed to resist fading, and while no material is fade-proof when exposed to years of UV exposure of the elements, Clubhouse Decking is warranted not to fade by more than 5 Delta E (Hunter) Units for a period of twenty five years pro-rated from the date of installation. See the manufacturer's warranty for more information. Can I use Adhesive or caulk with Clubhouse Deck? Adhesives can be used sparingly if used with caution. Do not get any PVC glue or similar substance on the surface of Clubhouse Deck as it may discolor and permanently damage the Clubhouse Deck surface. 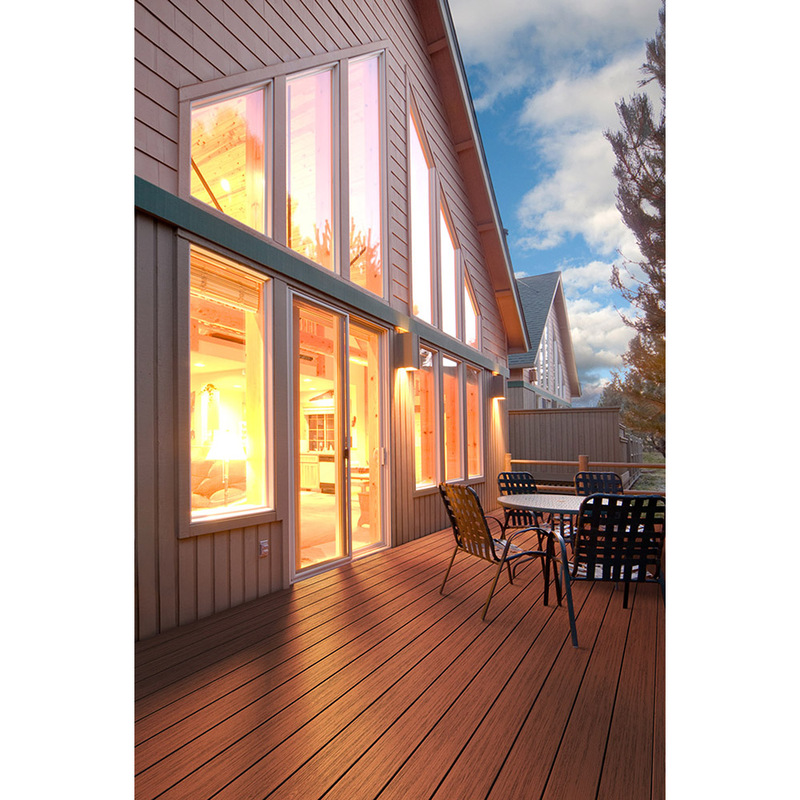 Is Clubhouse Deck ICC code compliant? Yes, Clubhouse Deck has been CCRR tested in compliance with ICC AC-174. Will Clubhouse Deck get mold on it? Yes. Given particular environmental conditions of moisture and temperature, mold and mildew can appear on any outdoor surface. However, mold and mildew on Clubhouse Deck occurs only on the surface of the boards and does not penetrate into the deck board. Surface mold and mildew on an Clubhouse Deck can be removed using an all-surface deck cleaner or a 1 to 4 mixture of bleach and water. Apply cleaner or mixture, use a nylon bristle brush and scrub the area until the mold or mildew is removed. Rinse the area thoroughly and towel dry. Repeat if needed. Can Clubhouse Deck be used near water? Yes. 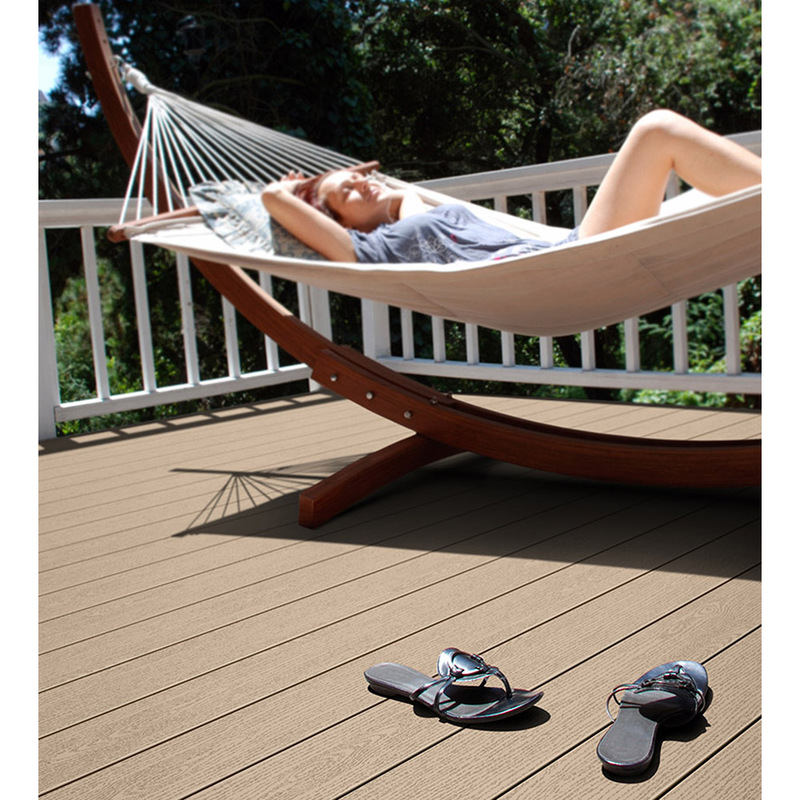 Clubhouse Deck resists moisture; therefore, it can be used near water. 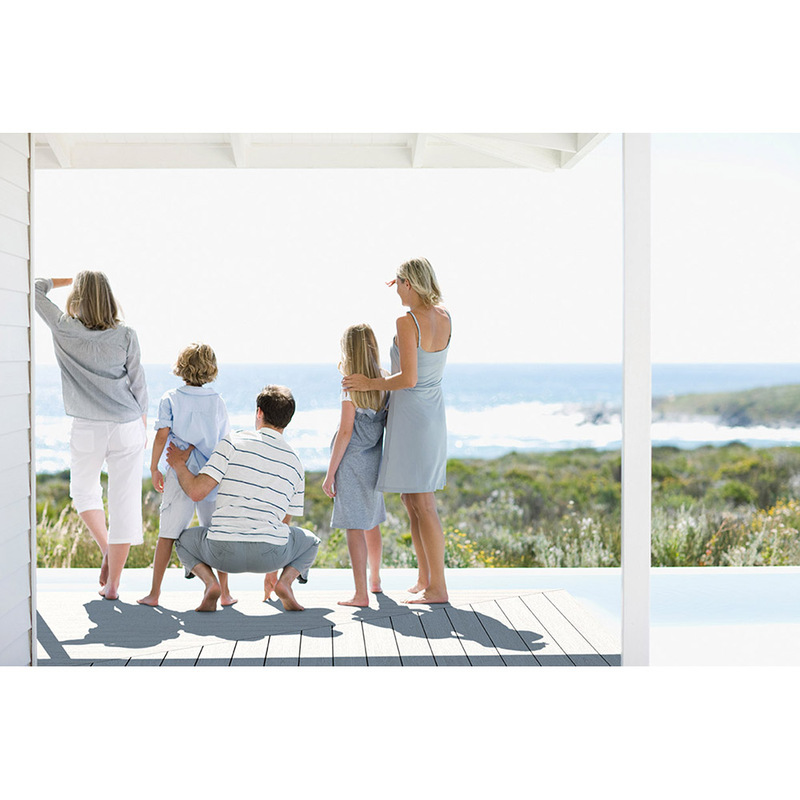 What is the minimum height from the ground that Clubhouse Deck must be installed? 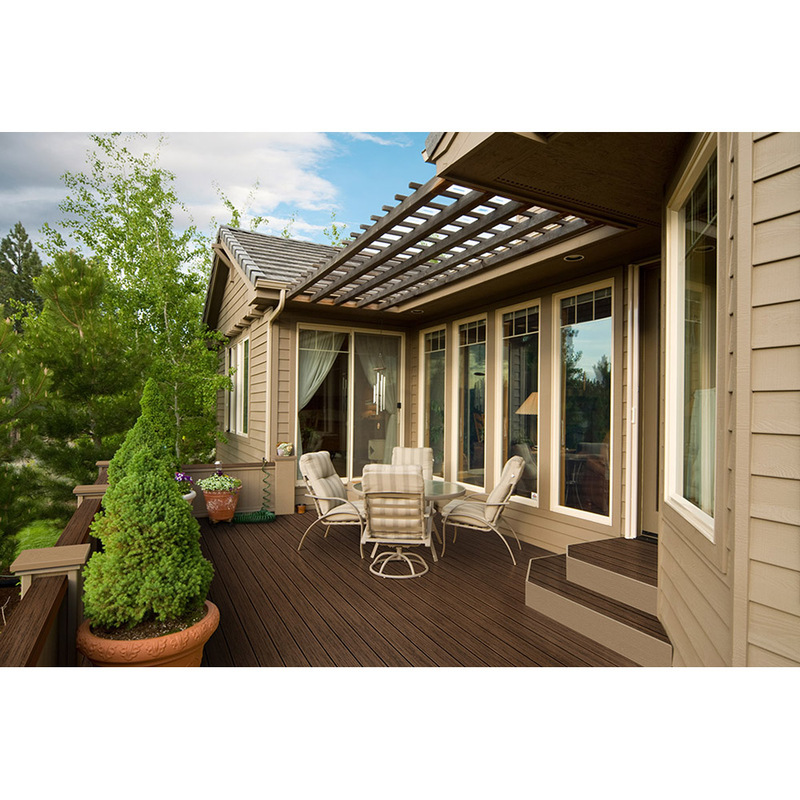 Clubhouse Deck does not require a specified height for ground clearance. 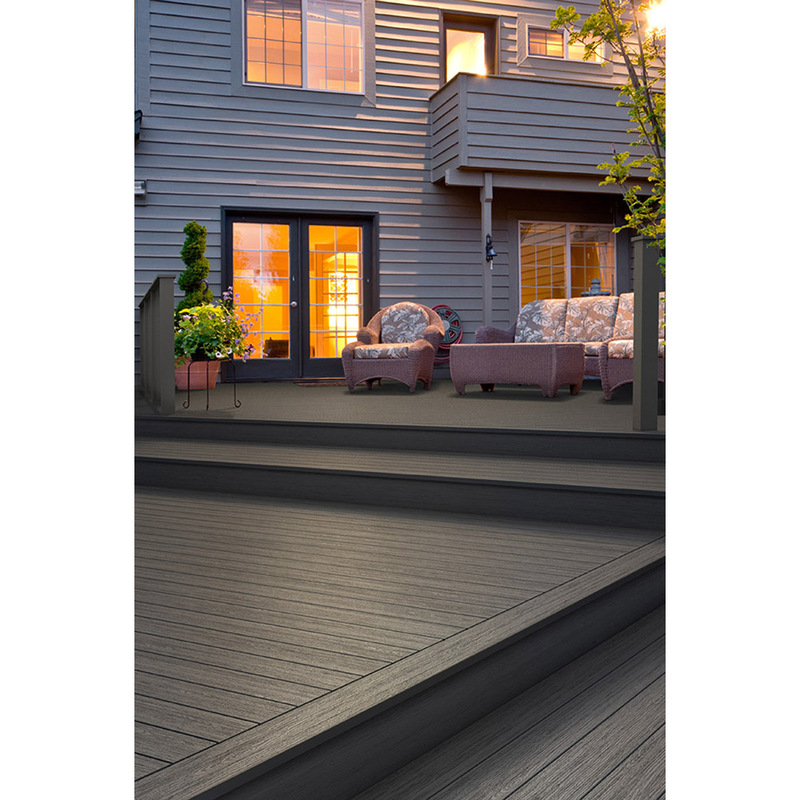 However, as in any deck installation, be sure to attach the deck boards properly to a stable and secure sub-structure and leave a minimum of a 1/8" gap between deck boards. Can I use Clubhouse Deck on a roof top application? Yes. 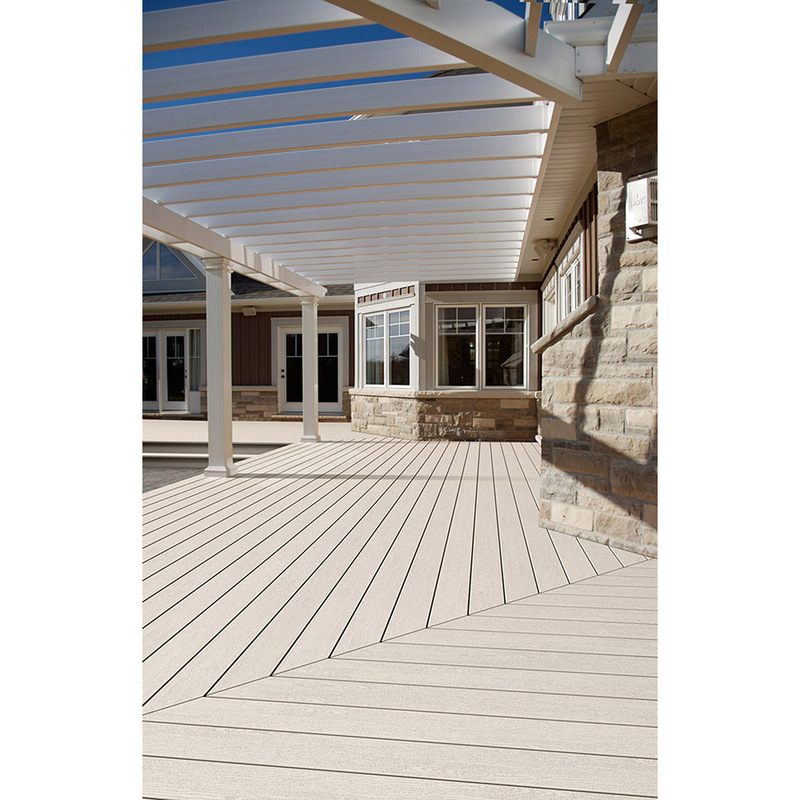 Clubhouse Deck can be used on a rooftop application; however, the deck boards must be attached to a properly secured understructure and leave a minimum of an 1/8" gap between deck boards. DO NOT ATTACH DECK BOARDS TO A FLOATING SUB-STRUCTURE. 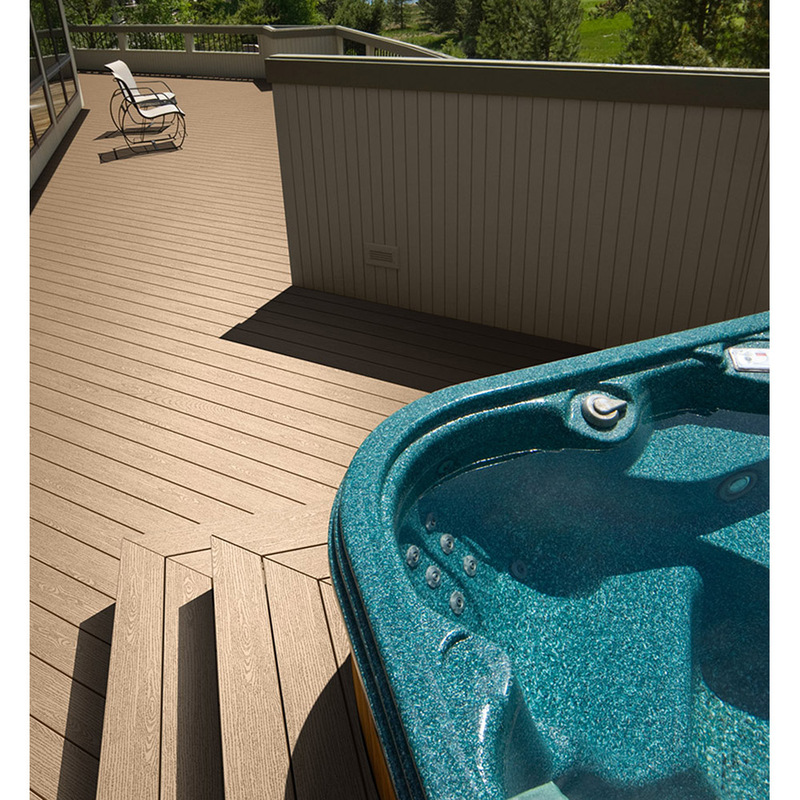 Consult the Clubhouse Deck Installation Guidelines for recommended fastening. As always, be sure to consult your local building code official(s) for railing requirements on any deck application. Can I power wash Clubhouse Deck? Clubhouse Deck can be power washed using a fan tip and keeping the pressure at 1300 PSI or lower. First try the power washer on a scrap piece or inconspicuous area of Clubhouse Deck to be sure that you will not damage the surface.